Cub Scouts are Sophie, Ashleigh, Leon, Noah, Jacob, Taj, Ben, Violet, Zoe, Cohen, Abigail, Sarah, Cleo, Joe, Patrick, Harrison, Emma, Nicolas, Dylan, Jack, Taya, Lillian, Riley holding the branch, Harrison, Isabella, Loki and Baron. CFA juniors are Taihere, Sam, Brady, Dane, Lachy, Suzanne, Max, Tahlia, Miah, Stephanie and Jack. 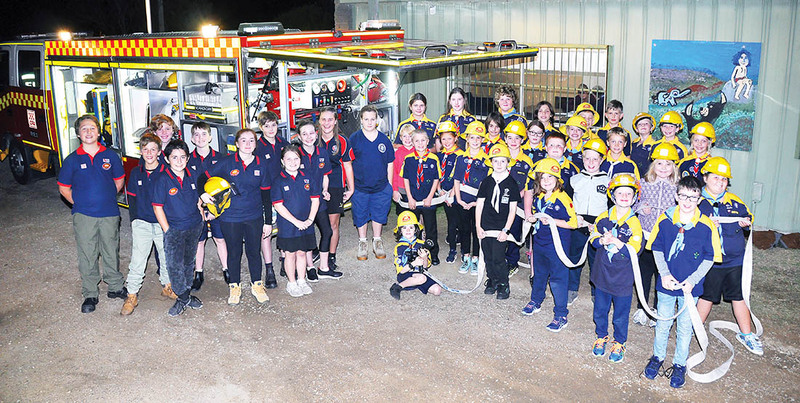 RYE Junior fire brigade members and 1st Tootgarook Cub Scouts enjoy getting together each year to promote friendship and learn new skills. Recently, the cubs played host to the Sorrento Sea Scout Cub Pack whose members worked towards their Boomerang badges while researching and training with the Rye junior fire brigade. The cubs, aged 7-11, benefited from the leadership and mentoring of the junior firefighters, aged 11-16. The activities highlighted the strengths of the three groups. Afterwards there was fun free time to chat and make new friends. For more information on the scouts call 0438 338 506.